Lady’s Picture not included. Replace it easily with your own stock via smart object. Main Title: Double click on the smart object layer « Double click to edit », Type your own text in the newly opened window and Save. Other Text: All the other text is editable by simply double-clicking on the text layer in Photoshop, and just typing in your desired information. 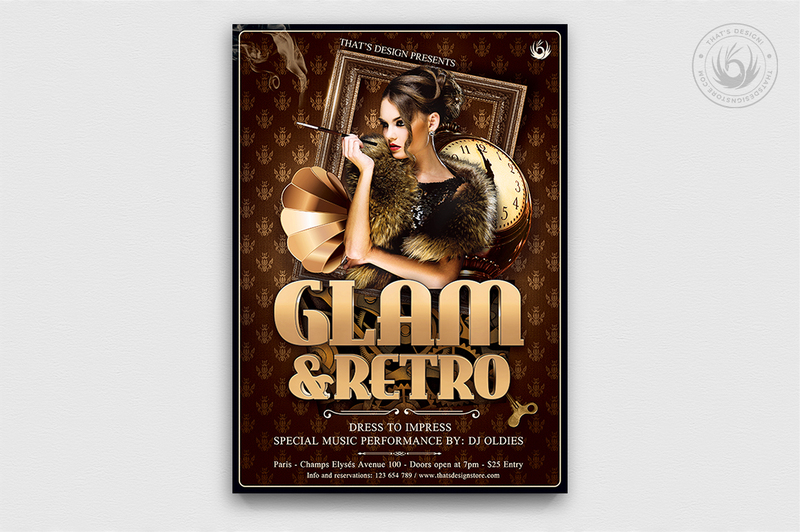 This Retro Flyer Template Design PSD V.2 was designed to promote any kind of Vintage, Glamorous party, Retro Ladies Night, Baroque Afterwork, a charleston themed party or simply a fashion catwalk. 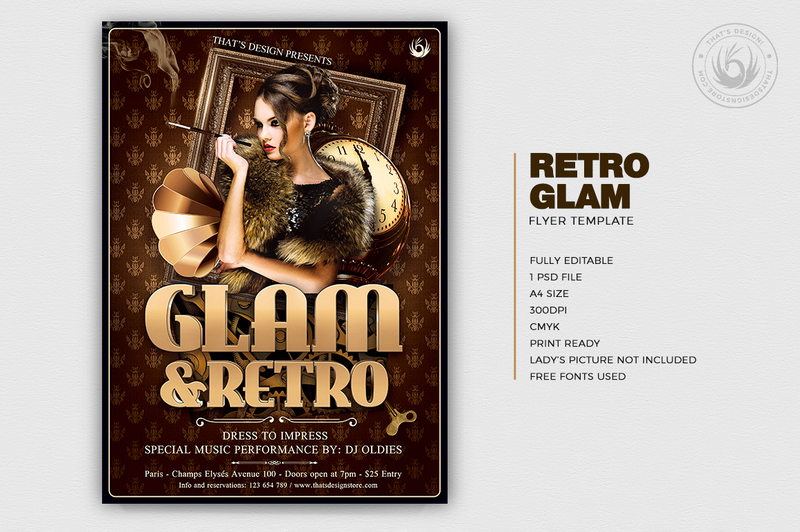 Save time and money with our Thats Design Retro Flyer Psd Templates. 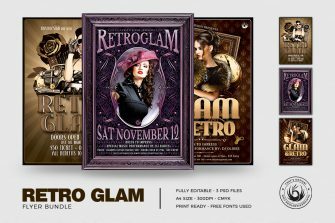 If you want to learn more on how to customize our flyer templates, this article may interest you: How to Customize flyer templates ? 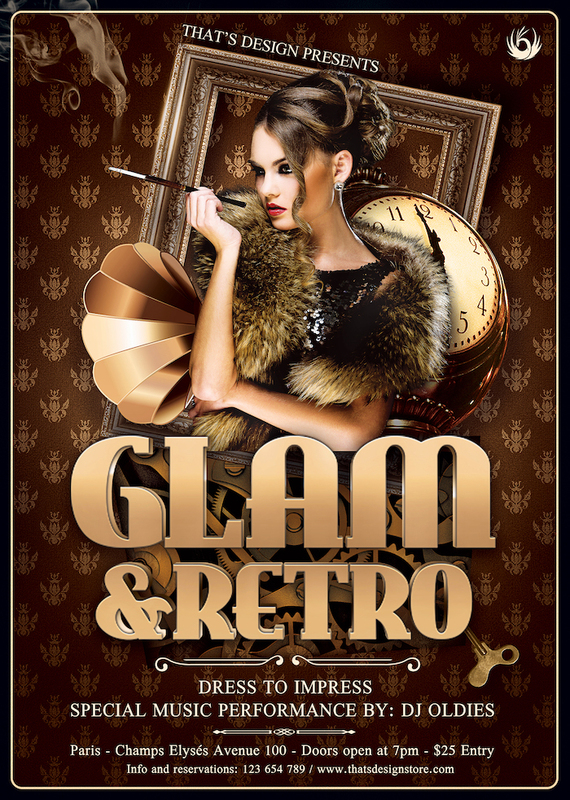 Also follow us on Facebook to discover the novelties as we add fresh flyer templates every day!